This is a guest post by Erin Whitehead. Norman Bates caught a lot of heat for what seemed like a pretty harmless hobby: Stuffing and preserving the dead, including his mother. Okay yes, there were also the murders in the shower but that tiny detail aside, the need to resurrect something once throbbing with the life force that created you is fairly understandable. It's kind of like those relationships that have long since died and should have been buried but because you just can't let go of this thing you once loved, you both dress it up, take it out, and parade it around like it's still alive and functioning. It's a lot of work - but then taxidermy and dating have always been tough jobs. Do you keep reviving after several collapses? There are people who have become skilled at breaking up. These are the same people who smell a rotting corpse and know it's time to get that thing six feet under or better yet – cremate it. I mean, whose idea was it to take something dead and decaying and put it in a box and plant it? It sounds like a kindergarten solution. I say burn the dead; and if the flame's dying out in a relationship, walk away from that pile of ashes and go read some online dating sites. This is what healthy people do. The rest of us see a relationship with no pulse and think heroically, I can bring it back! We become our fantasy ER doctors who refuse to give up, who can't call time of death no matter how cold the body is or how long it's been flat lining. We think about how it used to be, so fun and new and innocent, so full of hope. We think, if we can just revive it one last time maybe it can be like it was. It can't be. Is 'gone forever' too painful for you? We can't bring back the dead in love or in flesh. This is a concept I still struggle with and it's why vampires are probably so popular and romanticized. The idea of gone forever is so painful to realize that we use what we know of the living and we try to wrap the dead in it like a costume. 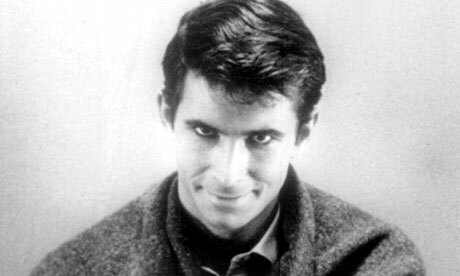 It drove Norman Bates crazy. Without his real live walking, talking mother around Norman was forced to obsess over those parts of her he remembered. But in trying to recreate her, he fell down the kaleidoscope that was his mind, and her memory intertwined and came out the other end with only the worst bits of each. How do you deal with a love that's lost? The same thing (recreating lost love) happens when you awake to find your relationship dead in the bed beside you. Unable to admit that something you loved and needed has wasted away, you prop it up and treat it like a real thing. Your partner, seeing this charade, doesn't know how to tell you it's dead and so plays along; two people playing dress up with the remains of their love. But in trying to recreate lost love, all the fears and disappointments and of course, the underlying feeling that something is very wrong culminate to create something that only resembles what you once had. Something that is all the worst parts wearing an old, sad couple's Halloween costume. Norman might have gone to the extreme in stuffing and preserving his own mother (and yes, yes, the murdering, too). But most of us have been guilty of not wanting to let something go. Hard as it is to be broken up with or to be the one who breaks it off, think of it as a mercy killing. It's better than lugging something dead and rotting around. That could make anyone go crazy. Erin Whitehead is a writer, blogger, comedian and contributor to online dating sites. You may want to have a look at our love relationship page. And if you've found yourself holding onto dying love, why not look at this article about how to find a workable love relationship.